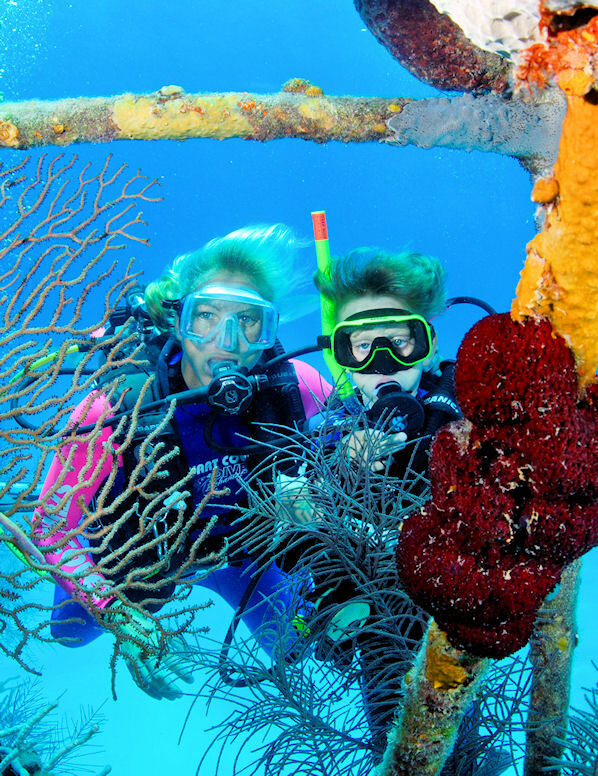 Scuba Diving at Stuart Cove's is fun and easy! Our Introduction to Scuba Diving course is designed for people who want to try scuba diving for the first time. In just 3 hours our professional instructors will have you diving with them on a beautiful tropical reef. Your program begins with a short presentation that teaches you about the basics of diving, followed by you practicing scuba diving skills in a pool or shallow beach area. Then it's onto a boat for your first dive on a shallow reef. During this dive your instructor will guide you on your first introduction to the Bahamas' magnificent underwater world. Wetsuit is available for $10 rental. Participants must be at least ten years old and in good physical health. (Cannot be pregnant, no asthma, no epilepsy, no diabetes, no personal history of heart attacks or heart problems, strokes, no recently diagnosed High Blood pressure, no antidepressant medications or other potential contraindicated medications, no problems equalizing your ears on an airplane or in the mountains) Young children must be of adequate size to fit into the equipment and capable of carrying a 40 pound tank on their back. Children under the age of eighteen must participate with a parent or guardian. Children under the age of four are not permitted on the vessel.